Galbreath roll off truck parts are for sale at BENLEE, a Dealer, Distributor of parts for Galbreath hoist replacement parts for 1500 Series and more. 386AO rollers, 6934A, 2316W Block, 3431 cable hook, all in stock and for sale. 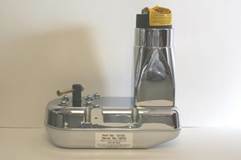 We have plastic fenders, cylinders, valves and more. 2354w roller as well! Hydraulic fillings, valves, handles, cylinders and of course replacement cables 7/8″! We even had a parts catalog for you. 7/8″ roll off cables in stock along with a1001 Galbreath pump and a3205, 521AO, 522AO, 2185W. Pulley, swivel fittings and more.